Hello again, This month you will see a whole range of festive posts, and every monday for the whole month I will be posting different 'Festive Nails'. I did this last year as well, feel free to check them out here hope you enjoy and hopefully I can remember to post every monday! 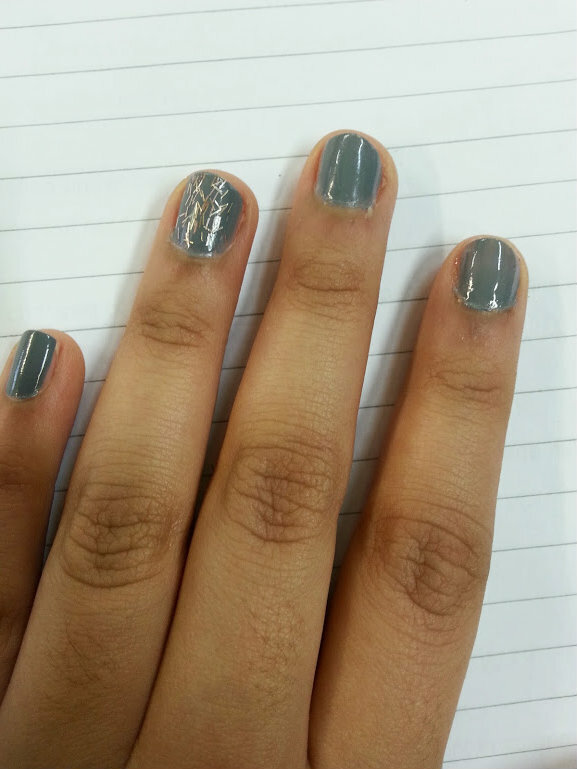 This week I am talking all about ' BarryM Chair Grey' Gelly, this is such a beautiful colour and even though it isn't very festive and the typical 'christmas colour' it is seasons - as in winter! The weather in the UK has been terrible and this grey is a great reflection of the weather outside! The formula for any BarryM Gelly is amazing and I follow in love over and over again every time I try a new shade!